What is your senior session state of mind? For Breanna it was golden sunshine. It was light and airy and natural. It was free-spirited and laid-back with a blend of boho and surfer vibes. It was crashing waves against a beach that feels like home to this high school senior who is preparing to leave for college in the fall. Working with Breanna for her senior portrait session at the Historic Cocoa Beach Pier in beautiful Cocoa Beach, Florida was a photographer's dream. Breanna is a senior at Titusville High School and is preparing to kick off her college life as a freshman at The University of Central Florida. This bright, athletic, Florida girl will be majoring in Television Broadcasting and is working hard to fulfill her dream to become a television news anchor. She names her family as her biggest supporters and inspiration and credits them as the reason for all of the successes in her life. Breanna is one of those young adults who leaves a lasting impression on you. She is an amazing balance of beauty and brains. Her bubbly, laid-back personality made her a joy to be around and after spending time shooting with her there is no doubt in my mind that she is going to do amazing things in this new chapter of her life. Having grown up in Florida, the iconic Cocoa Beach scene was the perfect spot for this surfer girl to be captured in the sunshine, sand and surf. 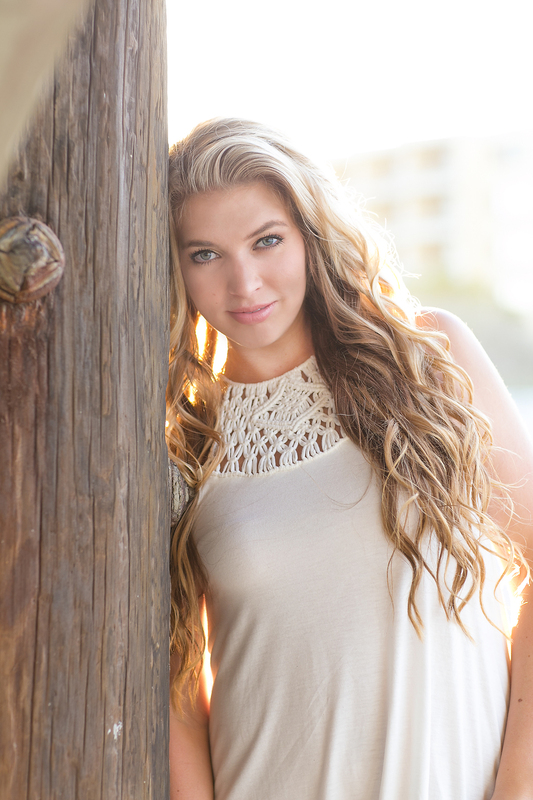 Breanna was photographed on the beach at just two months old, and now returning to take her senior portraits here just seemed like a natural fit. 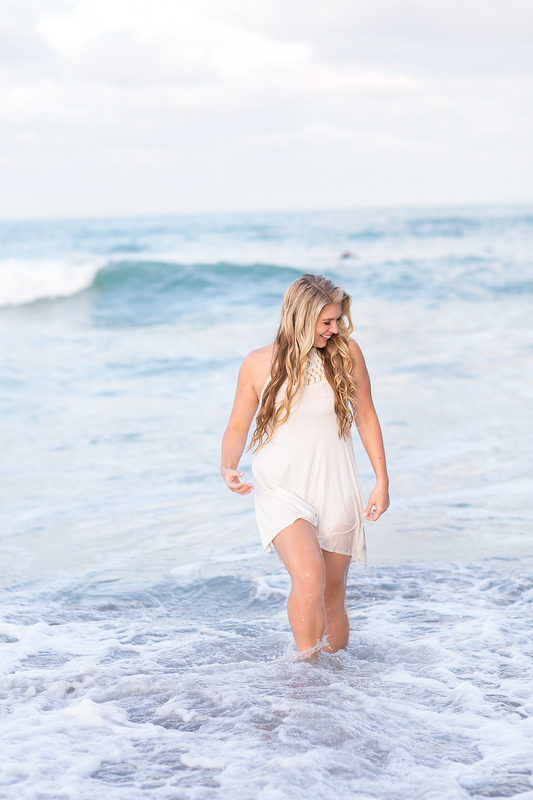 The beach is her go-to spot when she needs to relax or have fun, and the outgoing spirit she embodies shines through the images from our session together. Congratulations to Breanna and best wishes for an amazing college experience! I am SURE we will see you on TV someday soon!